The sound of the word “wedding” has a beautiful ring to it. The finger of the bride-to-be should also have a beautiful ring as well, with a wonderful engagement ring that expresses the momentous importance of this loving bond that is taking place. Why leave it up to the jewelry store to create what only your heart can describe? Add the personal touch to the process of picking a special ring for your fiancé by taking the time to design an engagement ring online. 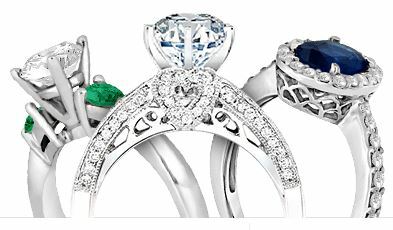 Begin your engagement ring online shopping process by first finding the appropriate jeweler that offers online ring designing, such as Allurez Diamonds & Fine Jewelry. Give an engagement ring the ultimate respect and unforgettable appeal that it requires by choosing the ideal ring setting that you find the most appealing. Engagement rings can commonly come in a platinum setting or a variation of gold, such as: white gold, yellow gold or rose gold, in 14K or 18K quality levels. The next important decision that needs to be made when designing an engagement ring online is selecting the diamond that will grace that masterpiece symbol of love and commitment. Diamonds can come in various shapes that include: Round, Emerald, Cushion, Princess, Pear, Radiant, Marquise, Asscher, Oval and even in a Heart shape. Engagement rings need to have a selected carat weight, with each carat weighing approximately 200 milligrams. The diamond on the engagement ring that you are shopping for will also need to have a choice of color, a cut quality and its clarity grade as well.